During the Risorgimento, Cavriglia began living an important moment in terms of economic and social development that would change its future for the next one hundred and fifty years. In 1860, in the Valley of Avane, the cultivation of lignite, a fossil with millions and millions of years, began. The deposits, present in millions of tons, would have made Cavriglia the largest reservoir of Italy and one of the most important in Europe. They consisted of charred logs, branches, leaves and fruits of plants from three million years ago. Above the lignite there were very thick and stratified clays which, in the geological past, were preserved in several places by spontaneous fires of lignite and turned into natural clay, called the red soil. The presence of lignite in this area has always been marked by plumes of blue and stinking smoke. When those lands began to be cultivated, the farmers began to dig up this material. Between 1500 and 1700 the lignite became an object of great curiosity from scholars, but it was only in the second half of the seventeenth century that this mineral began to be used as fuel for industrial activities, which however would only be launched towards the end of nineteenth century. In the registry of Cavriglias historical record office it began to speak of lignite only in 1825, when in a meeting held on the 18th of February, a letter from the Ministry spoke about spontaneous combustion of underground fires in lignite deposits and this fact was brought to the attention of the Councilors. 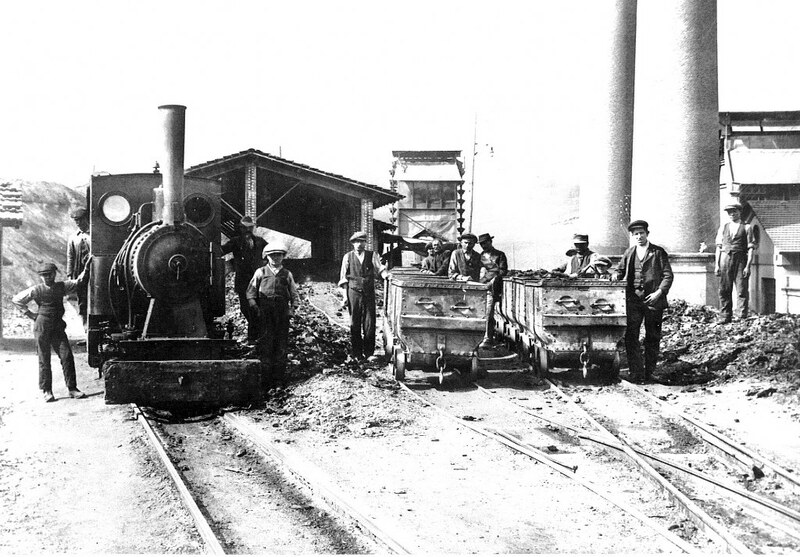 Around 1860, cultivation of the mineral was started in little quarries in the open with very modest productions. As the deposits were very inclined (up to 80%) and quickly disappeared under the earth, in 1875, a system of underground tunnels was started – as deep as 120 meters - which quickly would become the most important extraction method and would continue until 1955. 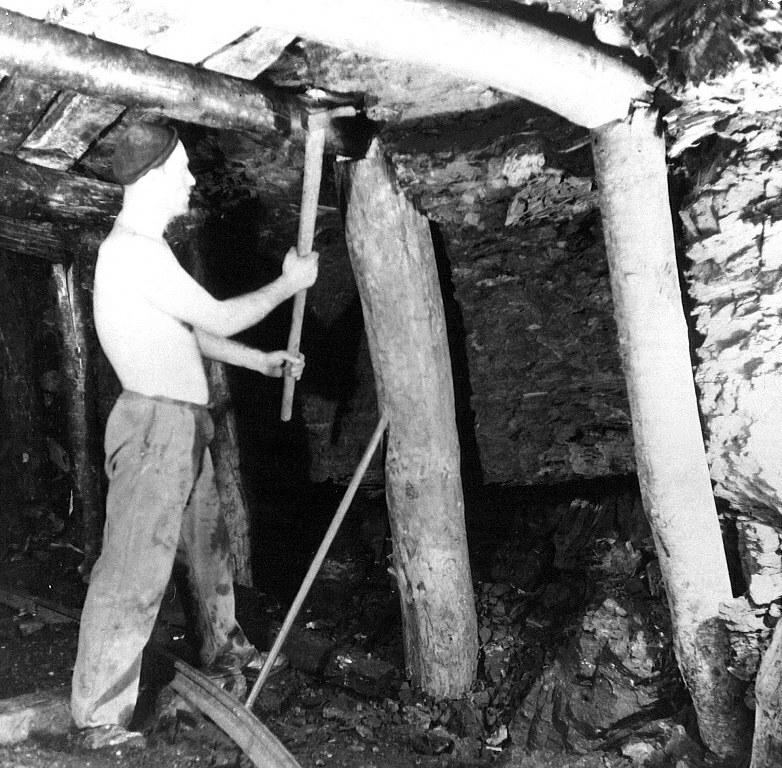 The work in the underground mine was very complex and dangerous and required a precise organization of work both inside and out. The deposits were attacked at several points in an area of several square kilometers, thus activating various mines. Inside the mines the lignite was moved by wagons on rails pulled by horses through the tunnels; the wagons were brought to the surface with an electric winch moving along inclined shafts. On the surface, the wood was sorted on wagons pulled by steam engines or battery operated locomotives and in some cases by a cable car, which reached the station of San Giovanni. Before selling the lignite, the larger quantities were stored in large outdoor areas or in warehouses, where the moisture could be reduced. The water was removed from the galleries with a system of pumps and with air exchange offered by ventilation systems.